THE IDIOTS' BOARD: GETTING SMART WITH SMART PHONES! WHERE THERE ARE IDIOTS, THERE ARE STUPID THOUGHTS. WITHOUT THEM, PERFECTION IS LESS POSSIBLE. 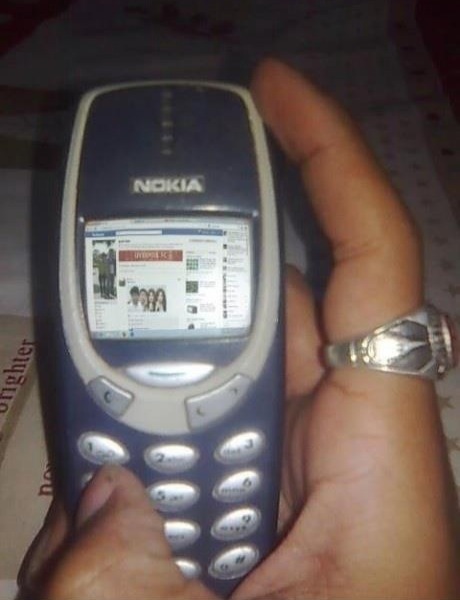 GETTING SMART WITH SMART PHONES! WHAT DO YOU GET WITH MOBILE PHONES? Nowadays people use their high technology smart mobile phones to update their social network statuses, to check on their emails and bank accounts, getting updated with the weather and push notifications - an access to mobile connectivity to reality in their busy lives - trying hard dead ringer executives . The use of smartphones is very rampant across all ages, a large number of people are newfangled with the latest and most expensive technologies arising, for some reason they're just getting smart looks, in one word damn. Yet for some less fortunate, they're loathsome and envious - they're killing themselves in spite. All over the globe the use of smartphones becomes an addiction. According to some studies done in UK, about 37% of adults and 60% of teens admitted they're highly addicted to their smartphones. Such addiction is linked to insanity. People are laughing all by themselves. Addiction is classified when signs of constant and habitual check to their mobile phones surfaced, when mobile phones are located upon individual's reach for glancing and browsing, and lastly when one can't leave home without their phones - a stupid behavior, loving their mobile phones over their spouses or partners; a top priority of their lives more than their jobs. It's going to be ending of mine day, except before ending I am reading this fantastic paragraph to improve my knowledge. More than an Idiot. A bearer of anything apparently good - something that lightens one's burden that which is laughter. An advocate of happiness - transcending useless thoughts into utility. And a believer of fun - wherever life leads you, bliss is always a choice. "Laugh will keep us alive!" In all its absurdity, this is published to highlight baloney concepts and share crappy and silly ideas existent in reality. ILLUMINATING THE IDEA OF HAZING!